The last few weeks have been so wild and wonderful. We’ve enjoyed glowing write-ups in Fast Company and Wired. We hit the #1 spot in the education section on the App Store in 63 countries. And now, we’re honored to announce that Apple has selected The Human Body as App of the Week. 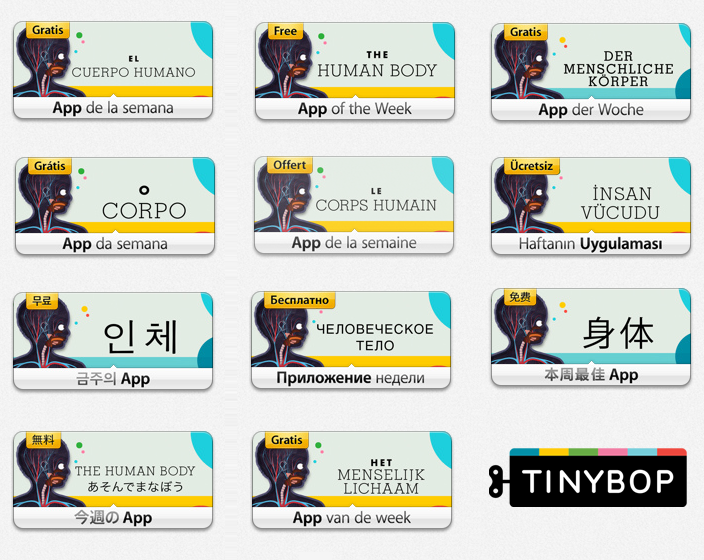 As App of the Week, The Human Body is prominently featured on App Stores around the world. (We love the way our banners look in all those languages!) And, the app is free but only until end of day, September 25th, 2013. If you haven’t downloaded The Human Body yet, now’s the time. We’re thrilled to offer so many more of you a chance to play the app. If you’ve already purchased the app, we can’t thank you enough for being an early supporter. To get the best deals and important updates on our apps in the future, sign up for our newsletter. (Subscribers always get first dibs on new apps at introductory prices). IT’S ALIVE! Your body, that is. Our bodies work continuously (every second of every day!) to keep us going. Grow and flex your kids’ knowledge of the human body with our printable activities — and have a little fun. 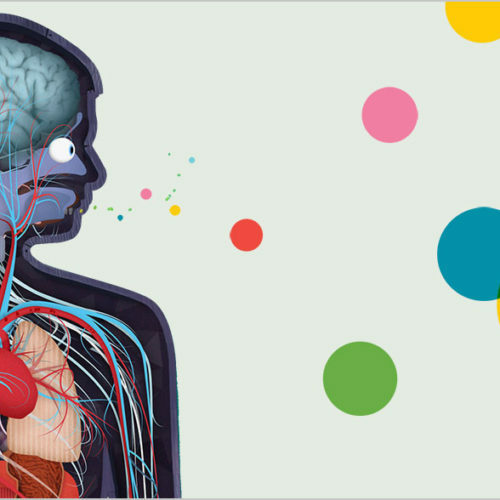 These activities are designed to further learning in our app of the same name, The Human Body. But they only require a few basic supplies you can find around your home: markers, pencils, scissors, etc… Just print, play, and learn! We hope you and your kids enjoy them as you explore six systems together.